Sweet Stella dress and top pattern is a lovely little number you’ll want to have in your wardrobe. The dress is perfect for weddings, lunches and evenings out. The little peplum top version is a very versatile sumer top that adds a little style to any denim and pairs well with our sweet scalloped shorts or any shorts for that matter. This pattern is suited to both silks and light weight fabrics. 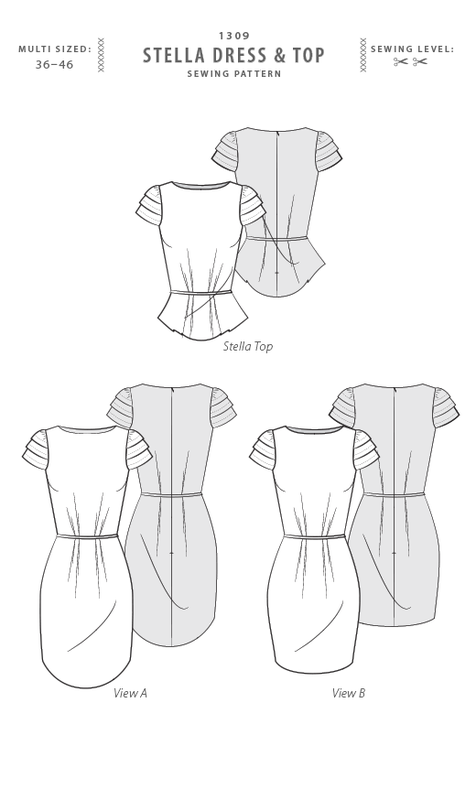 We have thought hard about how to turn a simple classic dress silhouette into an interesting dress to both sew and wear. 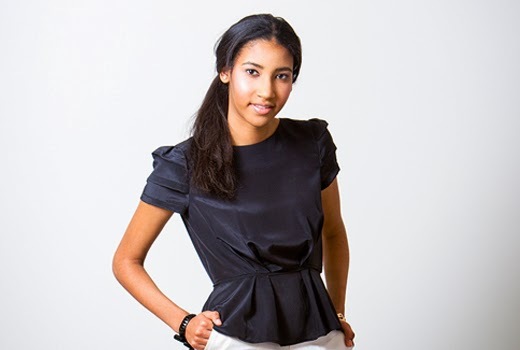 Stella features a gorgeous 3 tiered short sleeve, with a slight “puff” at the sleeve head. We have soft pleating through the waist of our bodice and skirt and used the same binding detail as the Drop Waist dress to define the waist. The dress closes with an invisible zip at centre back and we have finished the neckline with facings for a very clean look. With this pattern you get options; flared peplum top? Dipped hem dress or a cute shorter straight skirt? You choose how you’d like to wear this style. We have kept this dress fairly fitted with just the right amount of ease, the soft pleats are great at disguising and lengthening the figure, creating an elegant look. We have labelled this pattern as an Intermediate level due to the layered sleeve. This dress does come together quite quickly and easily. Shop the Stella Dress and Top Pattern in our very own boutique or over at the Etsy or Craftsy stores.